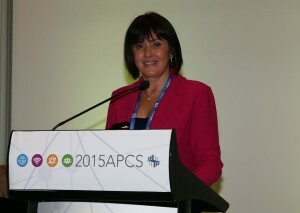 AIS CEO, Elena Gosse in high demand as guest speaker. For a Russian immigrant who arrived in Australia over 20 years ago without speaking a word of English, Elena Gosse, CEO of Australian Innovative Systems has certainly made up for lost time and is now in high demand as a public speaker. The multi-award winning business woman who presides over a water disinfection and chlorine generator manufacturing company, has a busy public speaking schedule over the next three months. 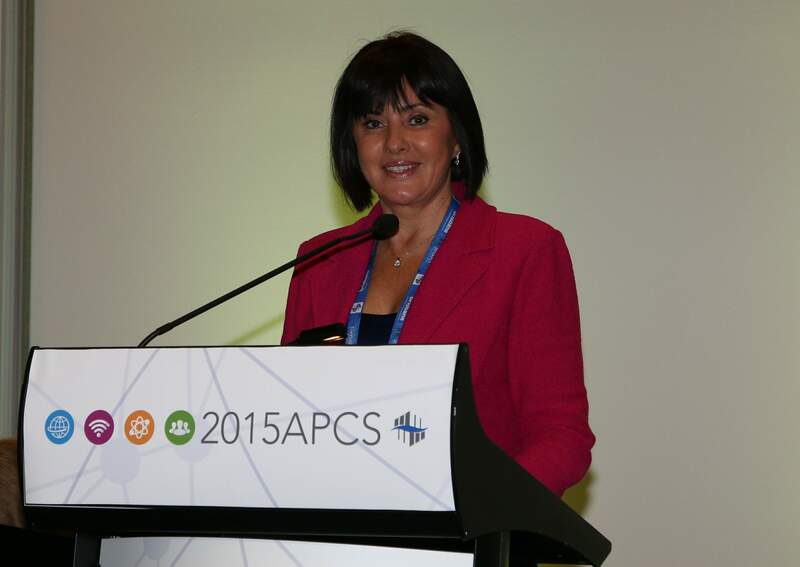 16.10.15 Access Community Services Limited (Access) Gala Fundraising Dinner, Brisbane. Elena will be acting as emcee in her capacity as a board member of Access. 28.10.15 Guest speaker at Lord Mayor’s Business Forum, Brisbane. Elena will be encouraging others to ‘Think Big in Small Business’ as part of the Lord Mayor’s regular small business workshops. Despite her hectic business schedule Elena enjoys public speaking and believes that she has a responsibility to share her story with others. “I have been fortunate with the opportunities that Australia and my business have provided and believe, as a successful businesswoman, that it is my role to pay it forward and help mentor and empower others,” Elena said. “I speak on a range of topics including my personal journey but really love educating people about AIS’ core business of water disinfection technology. “People probably think, ‘well that sounds boring’, but on the contrary, the science of water disinfection is fascinating. Our technology helps to minimise the risk of waterborne bacteria and infectious disease and stops the dangerous practice of chemical storage and handling in our communities, whether that is in a home swimming pool environment or a large water park. Elena Gosse reducing red tape with QLD Government. CEO of Australian Innovative Systems’ (AIS) CEO Elena Gosse is passionate about many topics including water disinfection, innovation and diversity but it’s her passion for small business and Australian manufacturing that has earned her an invitation from The Honourable Kate Jones MP, Minister for Small Business, to join the Queensland Government’s Red Tape Reduction Advisory Council. The eight member Council has been established to provide the government with advice on red, green and blue tape areas of most concern to small business, and assist in providing a business environment conducive to strong, profitable and globally competitive businesses. Areas of focus include regulatory issues which inhibit business growth, recommendations to reduce red tape, new initiatives to streamline government processes, and recommendations on red, green and blue tape across at least three industry sectors each year. With the inaugural meeting just completed Elena said that she was relishing the opportunity to provide practical feedback to government on behalf of the manufacturing sector. “AIS is a multi-award winning, Australian owned and operated manufacturer of commercial and residential chlorine generators and water disinfection technology, Elena said. “We employ the equivalent of 50 Full time employees across our three office and manufacturing facilities and have exported our products to over 55 countries. “Despite our success both here and abroad, there are still some barriers for businesses like ours. Some include accessing suitably qualified, ‘work-ready’ staff, particularly those straight out of university; the fact that in some cases, Australian manufactured products are not given preference or specified in tenders for large scale projects; and the costs associated with promoting Australian made technology in overseas markets. Elena said that she had joined the group to ensure that Queensland manufacturers had representation at the highest levels of business and government and to streamline small business. 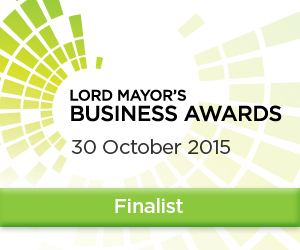 AIS double finalist in Queensland Lord Mayor’s Business Awards. Learning that you are one of the 48 finalists in such a prestigious business event as the QLD Lord Mayor’s Business Awards (LMBA) is exciting, but it’s twice as nice to learn that you are a finalist in two categories. That was the experience for Australian Innovative Systems (AIS) this week with CEO Elena Gosse being named as one of five finalists in the Channel 7 Business Person of the Year category and AIS’ ground-breaking, EcoLine freshwater chlorine generation technology one of six finalists in the Brisbane Times Award for Business Innovation category. 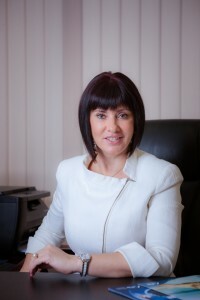 For Elena, being a Business Person of the Year finalist is particularly gratifying given her former career history in the entertainment industry in Russia. Making the switch from a life in the performing arts to one in the manufacturing industry was challenging. After arriving in Australia as an immigrant some 20 years ago, Elena steered AIS from a small family business with three staff to the international success story it is today. The company is currently in expansion mode after recently purchasing a fourth manufacturing facility which will enable AIS to triple its production capacity and create up to 60 more jobs. “As the LMBAs celebrates its tenth year I am honoured that AIS’ reputation for innovation and quality has been recognised in this way, AIS CEO Elena Gosse said. “We are a proud local company which makes a sizeable contribution to Brisbane’s financial and knowledge economies and we are shining the spotlight on Queensland manufacturing on a global scale. The LMBA winners will be announced at a Gala Dinner at Brisbane City Hall on Friday 30 October.